Dönitz had long believed that too many resources were spent on the surface fleet to the detriment of the submarine fleet, but even he balked at the order to scrap them. In 1939, Adolf Hitler developed a plan in which would provide Germany with a naval fleet to rival the Royal Navy. Known as “Plan Z,” it would have brought the German navy to its full strength in 1945–the year the Second World War ended. 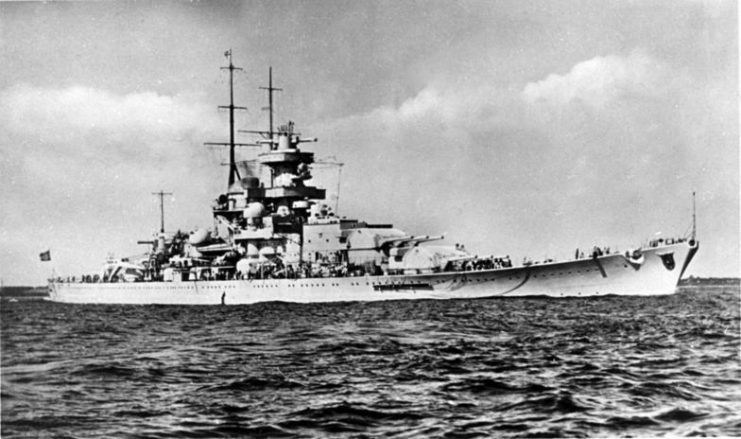 Germany entered the war with about sixteen modern cruisers and battleships and a further twenty destroyers. When Germany invaded Norway in early 1940, the Kriegsmarine lost two light cruisers and ten destroyers, plus further damage sustained to other ships. A further two warships conducted hit-and-run attacks on commercial vessels, but they brought too much attention onto themselves and were hunted down and destroyed by the Royal Navy. Germany instead focused on submarines since they were cheaper to manufacture and could avoid detection and therefore choose their battles. While the U-boats exacted a heavy toll on Allied shipping, the German battleships and cruisers were mostly left at port. On December 30 1942, German submarines detected a large Allied convoy delivering desperately needed supplies for the Soviet army. The Germans planned to trap the convoy using part of their fleet to lure the escorts into a battle while driving the shipping vessels straight to the rest of the German fleet. Though the plan succeeded in splitting the British convoy, poor visibility and an order from Hitler to run when outnumbered led to German defeat. All the Allied transport ships reached Russia with their cargo intact. Due to a miscommunication, Hitler was informed that the Germans were successful. Hitler then announced on his New Year’s Day radio address that the British convoy had been completely destroyed. But it was only after listening to the BBC the following day that he learned that his navy had failed to stop the convoy. 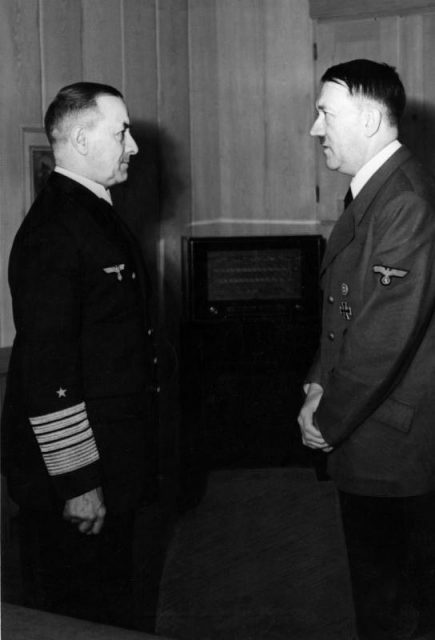 Furious, Hitler called Admiral Raeder to his “Wolf’s Lair” retreat and ranted for an hour and a half about the worthlessness of the Kriegsmarine. 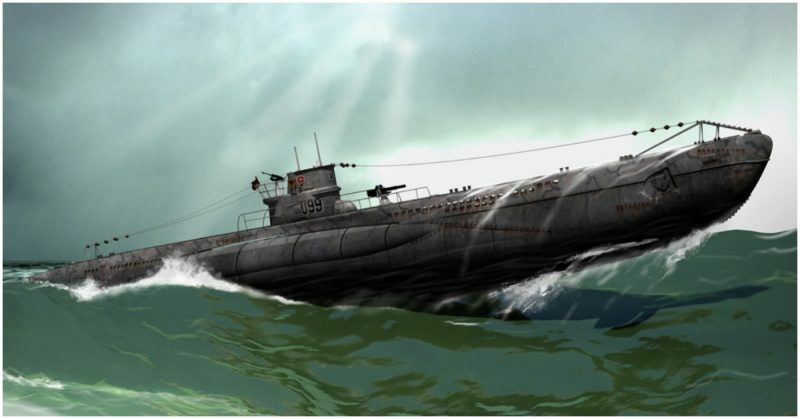 To Hitler, only the Kriegsmaine’s submarines were worth anything. At the end of the rant, he ordered Raeder to dismantle the fleet for scrap metal and have the guns repurposed for coastal defense. Having spent over a decade developing the Kriegsmarine, Raeder tendered his resignation rather then undo his own work. Admiral Karl Dönitz was appointed as his replacement. 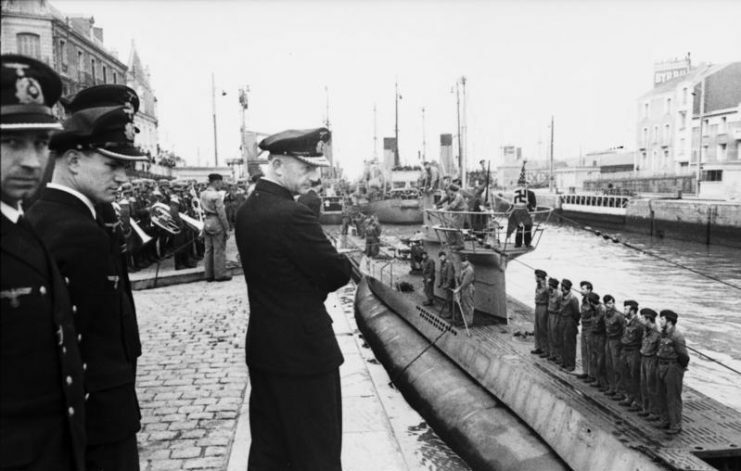 Dönitz had long believed that too many resources were spent on the surface fleet to the detriment of the submarine fleet, but even he balked at the order to scrap them. There simply wasn’t enough benefit from the effort. Instead, he recommended keeping the surface fleet as a deterrent to the Royal Navy. In the end, Dönitz was proved right. 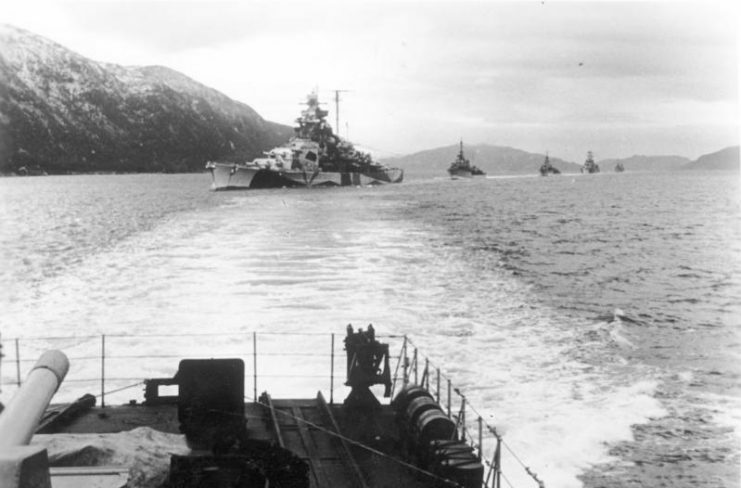 The presence of German battleships forced the Royal Navy to maintain a larger reserve fleet in order to protect against the potential threat that the battleships posed. The strategy is now known as having a “fleet in being,” in which merely maintaining a fleet, even if it is never used it, was able to force the British to be extra cautious due to the possibility that the German fleet might be used. Hitler’s orders did have some effects though. For the remainder of the war, the Germans did not build any more warships. Additionally, a refit of the battleship Gneisenau was halted halfway through and many sailors were reassigned to infantry divisions. 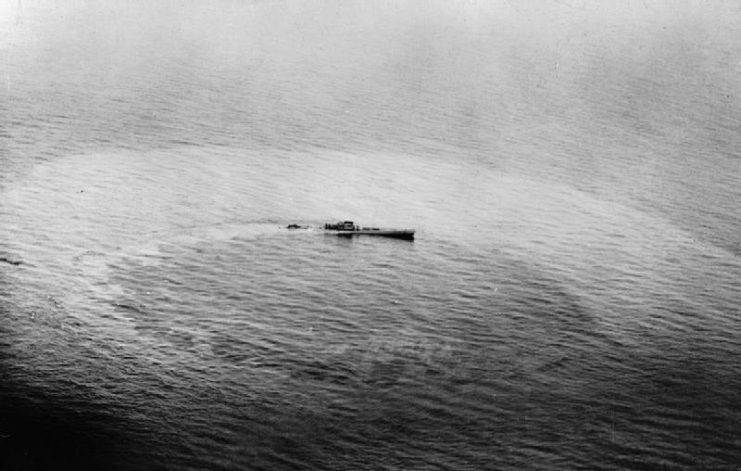 In the end, what should have been a brilliant ambush set by the Kriegsmarine to destroy an Allied convoy was ultimately undone by poor weather conditions, brave British sailors, and a Fuhrer who was unable to grasp how his own orders hampered the performance of his men.